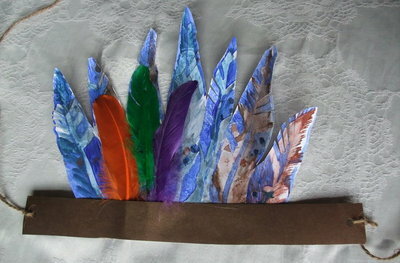 This is a fun way for kids to make their own feather headdress. 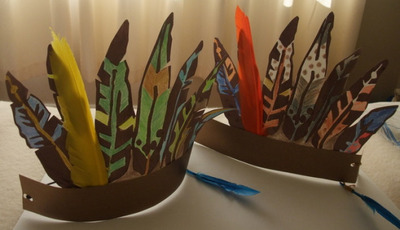 If you want to make a lot of feather headdresses for a group of kids, you can make a stencil and then screenprint or paint over it onto separate sheets of cardboard for each child. 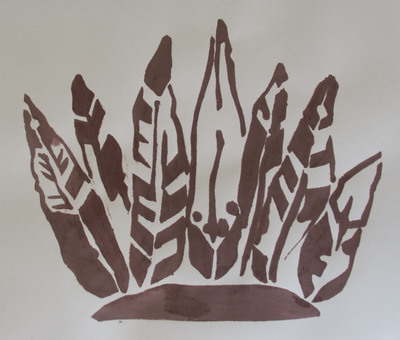 Or you could draw or paint a stencil of bird feathers. 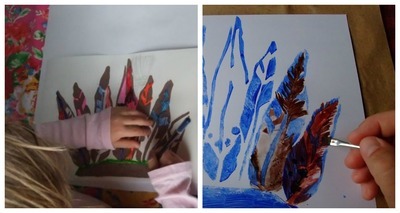 Colour in or paint bird feathers. 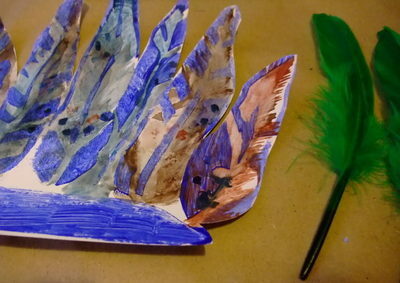 Cut out coloured in feathers, then glue on craft feathers. 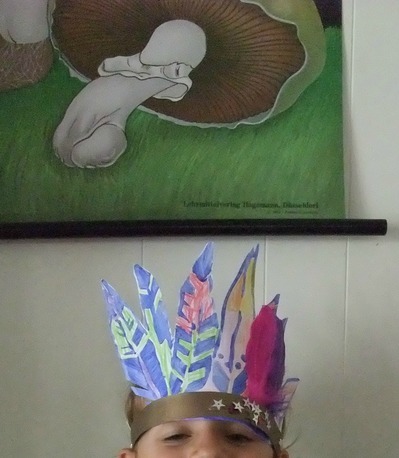 Glue a strip of cardboard along the base. Hole punch both ends and weave through elastic or ribbon to tie in the back.